After: Luscious lawn after curb appeal transformation. Now that the snow is starting to melt (knock on wood). It’s time to start thinking about your lawn maintenance for the spring. David Beaulieu wrote an article called Spring Lawn Care on About.com with the top 10 things you should do in the spring to keep your lawn at it’s best for the rest of the year. This entry was posted on Sunday, April 24th, 2011 at 1:44 PM	and is filed under Home Staging Resources. You can follow any responses to this entry through the RSS 2.0 feed. You can leave a response, or trackback from your own site. You could use rainwater as a free water source by collecting them inside a rain barrel. Using rainwater will help you save time and money because you are using it as a natural resource of water. It helps clean the soil by removing salt buildup, therefore promoting a safe environment for plants to thrive. 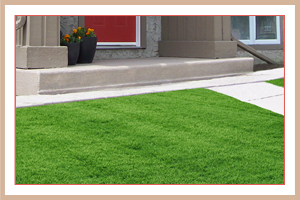 Now that spring is finally here, it is the great time to maintain our lawns and restore its beauty. These maintenance tips that you shared are very helpful in doing so. Thanks for sharing a very informative article. Thanks so much for your wonderful comment Stump Removal Council Bluffs! Thanks so much Lawn Hopper!